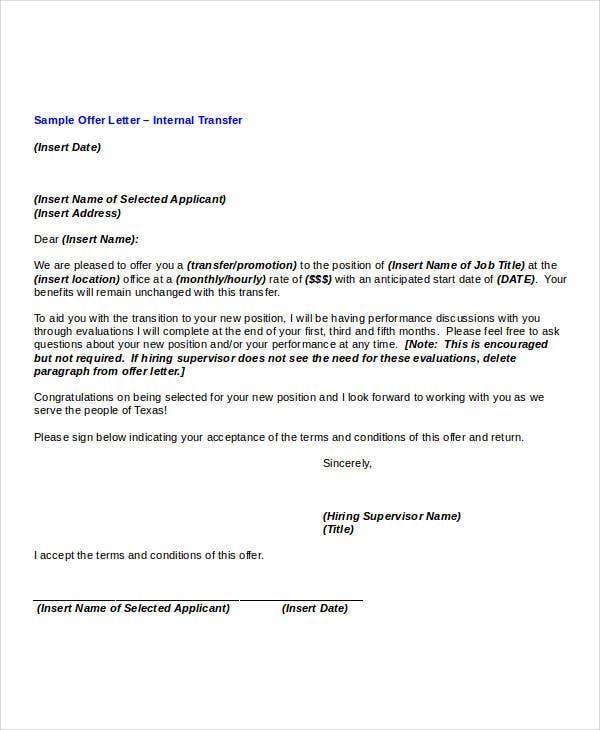 Do you need transfer offer letter template that you can use for your own personal purposes? Templates that are of high quality and provide good document and accurate details that can aid you in formulating one? You’re in luck because on our website, we here provide for you several Letter Templates that are specifically for loan application transfer that you can choose from and use. Our templates are free of charge, reusable, easily accessible for your own convenience, and simple to use. Just with a click of a button to download, they are yours. Let them help you get started and compose your own. 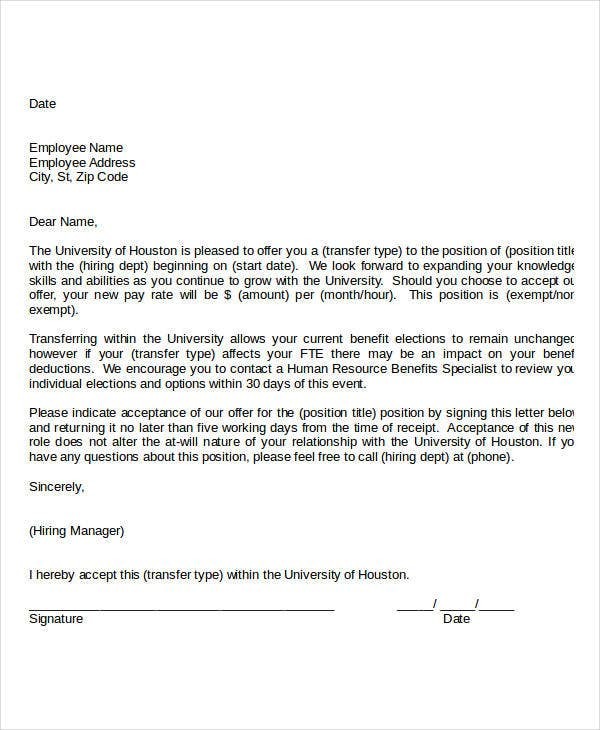 To be able to help you even further, continue on with this page as we even give you some tips before you make your own transfer offer letter. Before proceeding to check out our Transfer Offer Letter Templates, here is a quick overview on what they generally are, what causes transfers, and a little guide on how to formulate one. A transfer letter a written record to keep track of the transfer request which can be served for a future need as well. In the business world, transfer letters are generally forwarded by the employees to the higher authority that explains how they are qualified for a transfer and what changes they anticipate to bring for their good and the good of the organization. Just as employees are allowed to request for transfer, employers can also hold the rights to offer transfer of their employees. 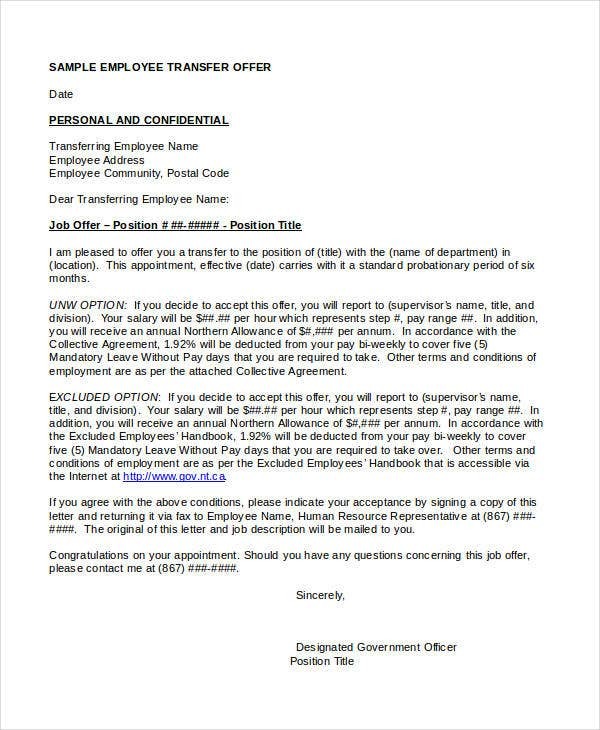 A transfer offer letter typically means a request or a notice of offering a transfer of an employee or a member of an organization. 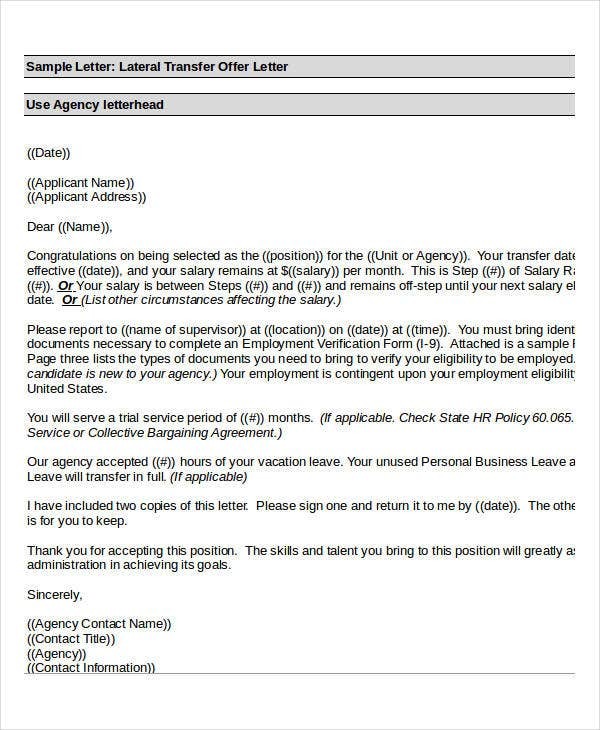 The person of higher authority responsible for the employee might have necessary purposes for such employee to transfer. 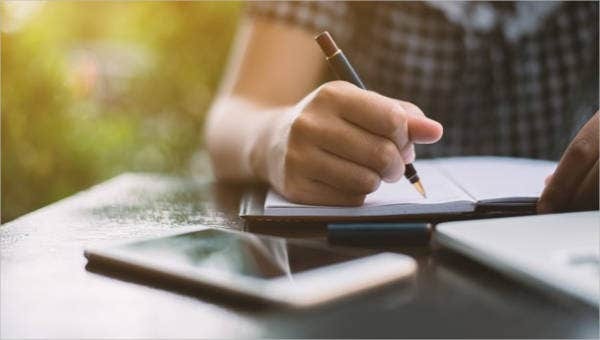 To be able to help you further in creating your own transfer offer letter, we have listed for you here some specifics that make up a good quality transfer letter. It is vital to be thankful of the certain employee and his or her contribution to your team. 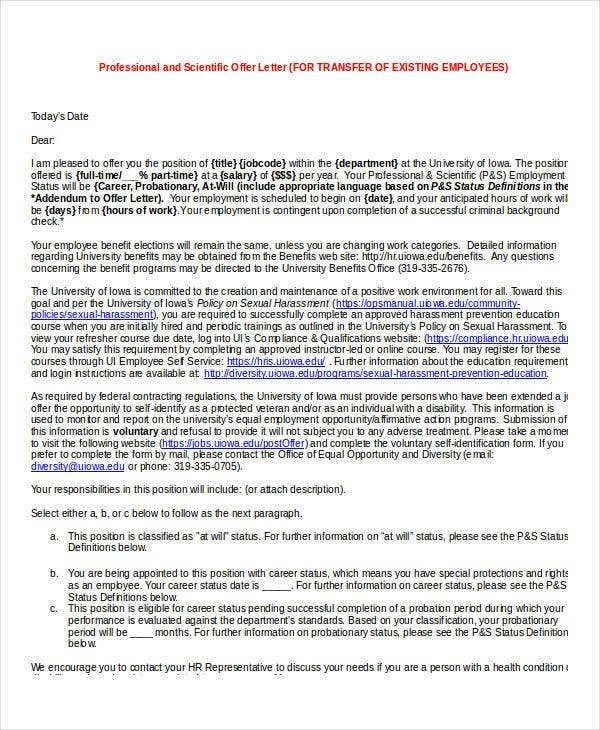 The letter should express politeness and professionalism. It should clearly state the justification for transferring, its benefits for the employee, and the good it brings to the company. Although brief, it should state the complete information as to why the transfer is necessary. State the proper subject line that justifies the request for transfer. Balance the skills and assets of the employee with the needs of the company and the new position the employee is being transferred to. 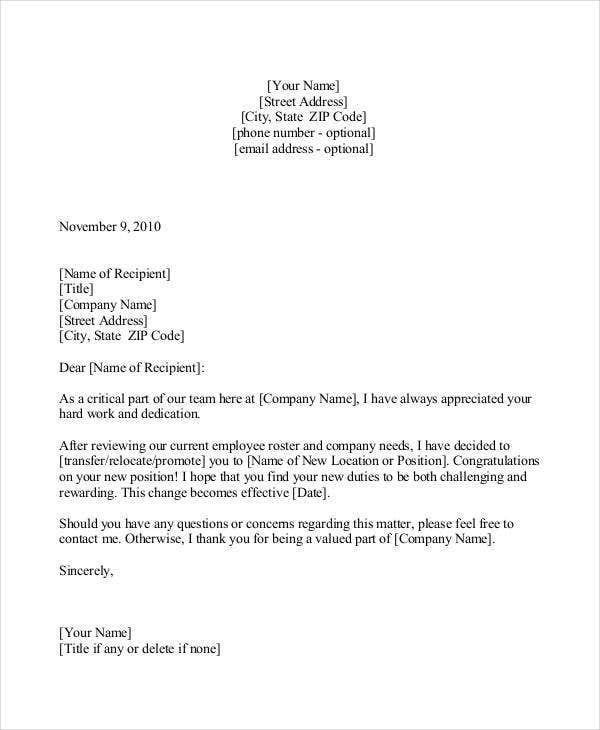 In the line of business letters, our website also offer other types of templates such as some Notice Period Letter Template that could guide you in creating one.